The range of the rattlesnake includes both South America and North America. In the United States, the rattlesnake population largely lies in the southwestern part of the country. 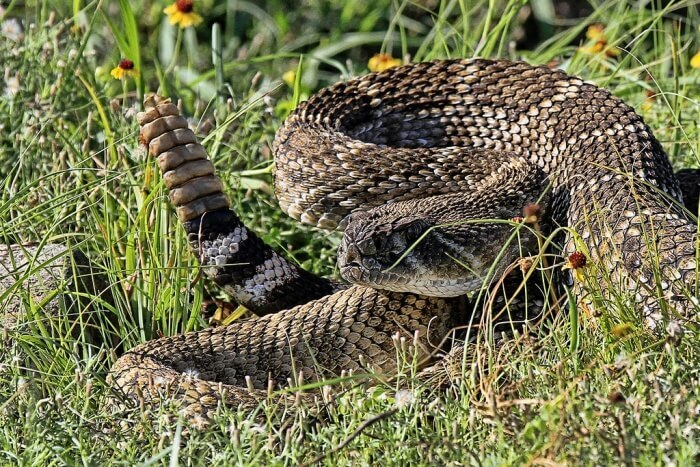 Rattlesnakes, which comprise around 30 recognized species that grow up to 7 feet in length, make their homes in meadows, swamps, deserts, rocky hills, scrubby brush and grasslands. Snakes living in temperate zones may go into hibernation during the winter months, emerging from their dens when spring arrives. Rattlesnakes make their dens in leaf litter, burrows and rocky crevices. Rattlers can be found in a diverse number of habitats in the U.S. and ranges into South America and Mexico.